Professor Geoff Layer, Vice-Chancellor, said: "The University of Wolverhampton is not going to outsource its student mental health provision, has no plans to and it was never a consideration. "The University has, in fact, a sector leading approach to mental health support which has won national awards. "The first thing to acknowledge is that supporting our students to succeed is and remains a core priority of this University. "We are proposing to change the way we deliver services currently delivered under the banner of Counselling as part of a wide-ranging review of Student Support and Wellbeing across the University. "Currently mental health and wellbeing support is predominantly provided via Counselling Services. It is a popular service but the current structure restricts it from providing a flexible and cross-working approach. "All students are different and have different needs and backgrounds and a one-size fits all approach isn’t suitable anymore. "What we are seeking to do is address the imbalance in resource allocation to respond to students in distress and provide early intervention and prevention, which is vital. "The model of support from September 2018 is to re-focus this team towards a prevention, intervention and referral model, providing for greater capacity where this is needed most – our students who are in distress. "This will result in the formation of a multi-disciplinary team made up of staff with a range of clinical and wellbeing backgrounds including counsellors and specialist mentors with the ability to provide a single point of contact for students and staff seeking advice to support students. "Importantly there will be no reduction in core staffing, no reduction in hours and no reduction in investment in supporting the wellbeing of our students. "This is not a cost saving exercise. "The team will continue to provide counselling along with a whole host of other services and mental health support and interventions, including group support, prevention programmes, workshops, self-help and staff and student training. "Students will be able to access the services in a number of ways to suit them whether that is a drop-in or referral, a telephone assessment or face-to-face. They will have a personalised plan developed as part of the process which may include a referral directly into to an external service as appropriate or for access into University support services. "To date we have trained more than 600 staff to recognise the early warning signs in at-risk students and explained how they can escalate concerns proportionately and compassionately. "So to claim we are outsourcing or in some way reducing the service we offer is wholly inaccurate. "The inaccuracy has been pointed out to The Guardian, and while we are deeply disappointed by the story, our main concern is that students reading it will be worried about this vital service. We want to reassure them our commitment to student wellbeing and support remains firm and with their needs at its heart." 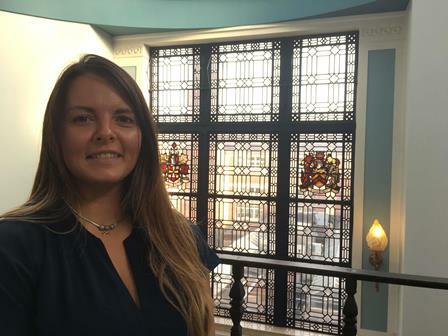 Clare Dickens, a nurse and Senior Lecturer in Mental Health at the University, pioneered the award-winning Three Minutes to Save a Life programme. She is a recognised expert in the field of mental health and suicide prevention. She has helped contribute to the shape of the new service and said: “Our plans do not include removing mental health provision or outsourcing it. The aim is to shift our gaze and broaden it to aim to offer benefit to more students, not just those who fit or accept diagnostic categories and indeed who feel able to come forward and admit they are struggling. “Many of the stresses experienced within a university context are very much related to this environment alone, however to rest on a principle of simply offering more bolt-on services to scoop students up when they fall, and depend on them coming forward, would appear to be limited and a model that needs strategic and considered review. “We continue to increase and expand the sources of timely referrals for students, to services that are both commissioned and indeed specialist in an array of areas such as sexual violence and substance misuse. One strand of our aim is to continue to build on our professional relationships with such services, and increase choice for students whose needs are individual and stand to never be fully met by offering a ‘one size fits all’ model of provision within one place.